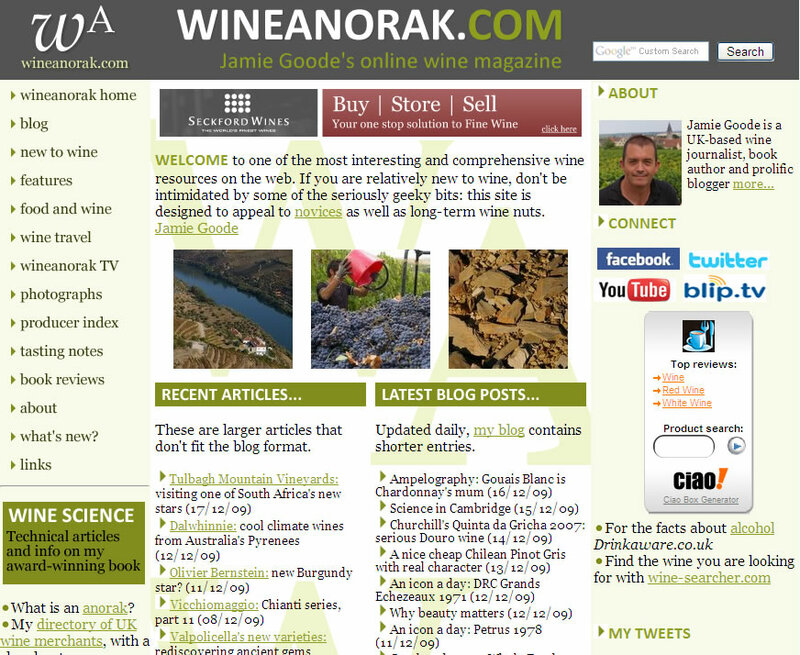 This blog is part of the main wineanorak site, which can be found at www.wineanorak.com. Some articles are just too long for blogs, so for that reason I’ve chosen to run both the blog and the main site in parallel. 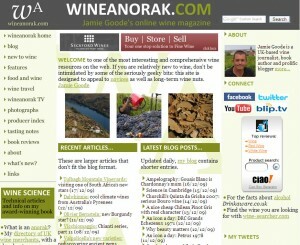 Wineanorak has been running properly since January 2000, although it started in 1997 as a hobby site, which in internet terms is ancient history. This is the third version of my blog – there are links to previous versions on the right hand menu bar. I began blogging in September 2001 (which makes this one of the very first wine blogs, and the first in the UK), shifted to Blogger in January 2006, and then moved my blog to a more powerful platform, WordPress, in February 2010.